I WOULD like to respond to Rebecca Burnett, of Harrogate Borough Council, and her comments regarding the proposed plans for 3,000 houses at Green/Kirk Hammerton (The Yorkshire Post, August 3). It would appear that Coun Burnett was surprised by the strength of feeling at this event. At risk of stating the blindingly obvious, let me explain to her and other members of Harrogate Borough Council planning department why residents such as myself are so angry. The meeting she refers to was not the expected and required consultation, but rather a presentation where the developers, invited by Harrogate Borough Council, exhibited their proposed plans as if they were a done deal. HBC’s proposed plans will see these two villages completely consumed and assimilated by an enormous housing estate with a population size of Tadcaster. No matter how council members and developers try to make this more palatable by describing it as a “new settlement” and even a “market town”, that is what it is – an enormous housing estate. As inhabitants of these villages, we have chosen to live in a rural setting as we believe that this, for a variety of reasons, best meets the needs of our families. By imposing this development upon us, HBC are taking away our right to choose where and how we live without our consent and against our wishes. Our anger is further fuelled by the knowledge that all of this is due to Harrogate Borough Council’s inability to meet its planning targets. Had they met their targets in a timely manner, as we as council tax payers would expect, there would be no need for such an expansive and invasive development anywhere in the district. The necessary housing quota could (and should) have been shared around the district in such a way that existing communities are not destroyed as a result. In other publicly-funded bodies such as health and education, an inability to meet targets is viewed as incompetence and results in judgments such as “requires improvement” or even “special measures”. Why is Harrogate Borough Council not being held to account for its inadequacies? If Coun Burnett believes that it is “inconceivable that every person will be happy with our decision”, then perhaps it is time that Harrogate Borough Council reconsiders its obviously out of date and inaccurate tagline of “Working for you” and replaces it with a much more appropriate (but equally catchy) “Working for a few”. In the news this week – TFNs report on how Northern Powerhouse Rail should interface with HS3 – used by George Osborne in the FT to argue the case and state Mays formers aids tried (and failed) to kill off the Northern Powerhouse. Sadly no link in FT report – if you are publishing a report please add a link or it drives everyone crazy, not yet on TFNs website. The real risk to the Northern Powerhouse is not that it has been killed off but defined out of existence. In a little noticed move since the end of last year the DFT, in letters to Sheffield CC and others, has rechristened ‘HS3’ as Northern Powerhouse Rail. Northern Powerhouse Rail is designed to create a faster link between Manchester and Leeds to maximise agglomeration effects of the two city regions so they together can compete with London – From the WESTERN side of the Pennines – to the EAST – its a Lancashire and Yorkshire thing. Rechristening HS3 is odd as it seems a category error. Is this a mistake by a junior civil servant or a cynical ploy to palm off those troublesome northerners that they can do without a faster trans Pennine link as HS3 is coming, studies can then be announced in the Budget without having to fund anything extra Transport for the North wants. A Leeds powerhouse is not a Northern Powerhouse. you wont placate Lancashire by marketing a Yorkshire focussed project as one which will also improve connectivity from Manchester to Leeds, unless you go the circuitous route via Birmingham International and Sheffield. Going on a moped via the Snake Pass would be quicker. Ultimately you have to ask if the DFT really understands the difference between Lancashire and Yorkshire? Most interesting is who wasn’t on. But it was judged blind of names and that always produces surprises. Indeed that the whole point to judge on merit not authority. Expected names might have been AECOM, Arup, Adams, Tibbalds (got through), Atkins, DLA probably as greatest knowledge of area but with David Lock advising NIC on competition no way could they have entered. No Urbed (a real surprise) and no Wei Yang (even more so) . No telling who entered and who dint though. I have no skin in the game didnt enter. Barton Willmore – no great fan of their urban design but their planning work is solid and their Wolfson prize entry very solid. Mae – rising reputation and masters of the superblock, but outside London and on a larger scale? Unproven, interesting to see what they come up with. Fletcher Priest, cosmopolitan and creative, but where is their portfolio of masterplans on a streets, district and settlement scale? Remember this isn’t or shouldn’t solely be an architectural competition. Though the focus on typologies may have led the teams down a certain path. Wrong term – what the brief discussed was topologies (network position) not typologies (building form) as urban designers and planners understand it, a strategic plan is the spatial combination of typology and topology suited to context – not the repetition of an ideal type typology. I know from my own analysis there is no single typology that will or can work across this whole region, its horses for courses needing bespoke city region by city region thinking. That was the great mistake of the Athens Charter modernists – a single typological solution everywhere. Architecture and urban design is a big part of it but the design scale is larger and the focus interdisciplinary. We need to be wary of falling into the Wem Koolhaus or Ricardo Bofill high modernist trap of conceiving place making as ‘big architecture’ at a landscape scale. NIC are talking to lots of stakeholders about many issues, So I am hopeful. They listen and know the right questions. The competition is the beginning not the end of a strategy that will be years in making and decades in delivery. Design focus is great – however this is regional big picture stuff about a broad brush strategy – linking up project management, urban design, strategic planning, transport and delivery. The teams seem very imbalanced to me, note imbalanced doesn’t mean not high powered and excellent designers. But they are the teams you would put together for a small urban extension, not 1 million plus homes. 1 million plus homes can only work with a radical and through approach to how people get from new communities to places of work and how that will be paid for and prioritised. They now have 10k each though to focus on the bigger picture broaden the teams and road test their ideas. Spend it well. The National Infrastructure Commission and Malcolm Reading Consultants has announced the shortlist for The Cambridge to Oxford Connection: Ideas Competition. The two-stage competition will now see four multidisciplinary teams develop detailed concepts appropriate for the Cambridge -Milton Keynes – Oxford corridor. The competition launched on 30 June 2017 and invited entries from broad multidisciplinary teams made up of urban designers; architects; planning, policy and community specialists; landscape designers; development economists; and others with local knowledge and general insight. 58 teams from the UK and further afield entered at the first stage, anonymously submitting emerging concepts focused on a chosen form of development – ranging from the intensification of existing urban areas to new autonomous settlements – along with separate details on the composition of their team. The four shortlisted teams – all UK-based – feature creative, multidisciplinary collaborations and a mixture of established practices and emerging talent. The shortlisted teams were led by the following practices (in alphabetical order). Full details of the teams are listed at the end of this article. Tibbalds Planning and Urban Design – Jennifer Ross (Director) – with Annalie Riche (Co-Director, Mikhail Riches), Petra Marko (Co-Founder and Director, Marko&Placemakers), Sarah Featherstone (Co-Director, Featherstone Young) and Kay Hughes. The Labour leader is campaigning to unseat Tory MPs with slim majorities in Reading and Milton Keynes under a plan to keep his party on a general election footing. Mr Corbyn will highlight rocketing house prices and attack the Government for “giving tax breaks to the wealthy”. Whilst I grab a biscuit read my manifesto, we are promising to build 1/2 million less homes than the Tories. “Here in Milton Keynes, like so many towns and cities across the country, the cost of housing is sky-rocketing – house prices have gone up 50% in five years. “The next Labour government will tackle the housing crisis. “We will create a new Department for Housing and build 100,000 homes a year by the end of the next Parliament. As is now well known because the Labour Manifesto promise was so weakly drafted, and because Barwell trumped the promise on the Today programme, through clarifications of the equally badly drafted promise in the Tory Manifesto (which in its initial draft promised to build less houses than the government in evidence to the House of Lords said the target meant when annuallised across 5 years), the Torys ironically ended the last election promising to build 1/2 million MORE houses than Labour over a Parliament. 1/2 million is a big gap, so is likely to me met or fall short most in the one town outside London which has achieved the highest levels of housebuilding. Plenty of opportunities to call and raise, not taken. So translated his promise is ‘we have promised to build 1/2 million less houses than the Tories so vote for us’ . Why not a real target, like building 100,000 houses more in Milton Keynes and the surrounding area over 20 years than the Tories plan. 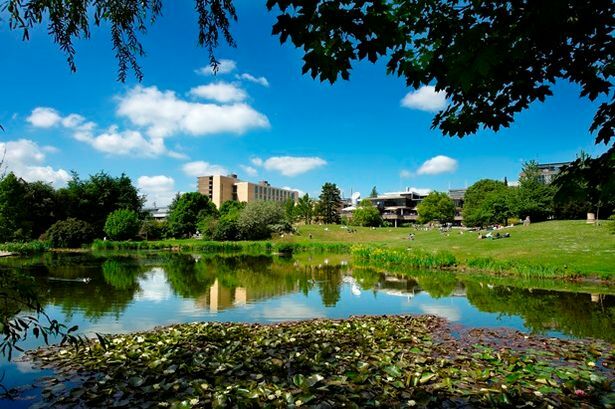 A Bath university student has written a letter in defence of his peers in the city. 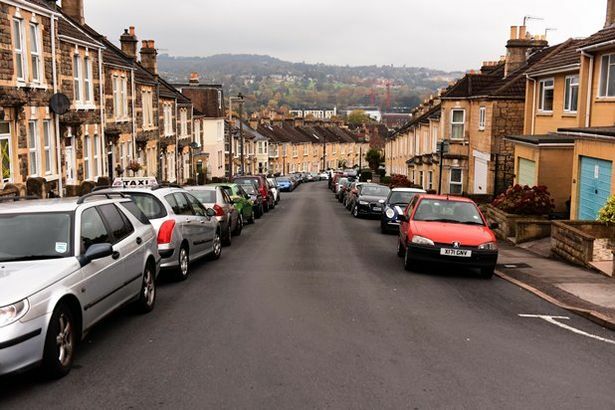 Following a story about an application for the 20th house of multiple occupation in a single road, Bath Spa University student Tom Morris responded. He says there are “clearly not enough student properties for the volume of students that the two (very high standard) universities produce”. In light of the tourism and money students bring to Bath, he “simply cannot understand why people have such a hatred for us students”. After recently reading an article posted by Bronte Howard with Mrs Player regarding the HMOs on Lansdown View, I felt it necessary to reply back to you and also to you, Wera, as our newly-elected local MP. I am full-on disgusted with the way students are spoke of in Bath. I came to Bath two years ago to begin my degree at Bath Spa University, of which I was ecstatic as it looked and felt like a thriving, bustling and welcoming city. However, with articles such as the Lansdown View HMO and the rubbish one a few weeks ago, I do not feel welcome in this beautiful city, which is a grand shame. It almost feels like students are judged even when they walk down the street by some residents! My house last year was in Oldfield Park, of which we had lovely neighbours next door who welcomed students into the community by doing various things for us particularly, such as putting the bins out during the holidays. (We cannot control which days the rubbish is collected, hence why during moving procedures this can lead to an amount of rubbish.) Now I have moved onto one of the HMOs in Lansdown View, and to see this article and the language used, I was near on upset. Surely, as Wera can approve of my thought, this is not what Bath stands for. A community is a group of people from all different backgrounds coming together and forming a lovely, clean and welcoming atmosphere. I feel with residents such as these, who take advantage of the students in the city when they pop into M&S and are served by ‘the lovely girl at the till’, it is hypocritical to say that students are ruining the community that Bath stands for. 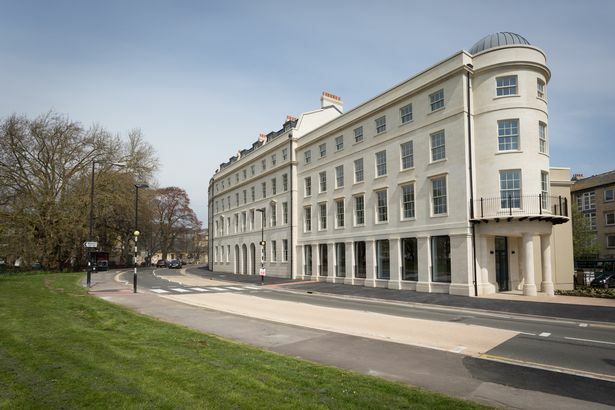 The truth of the matter is Bath is a small heritage city, and there is clearly not enough student properties for the volume of students that the two (very high standard) universities produce. It is time for local residents to stop going to the press about their problem and go to the root of the issue, and that is the universities themselves taking on more students (which can affect the contact time of many courses per individual). The amount of money that not only students but tourism brings to this city must be massive, so I simply cannot understand why people have such a hatred for us students. Yes, some groups of students are rowdy, noisy and can be a nuisance, but I can assure you that 80-plus per cent of us are people who understand the problems, and want to do something about it. We are future doctors, artists, scientists, psychologists, entertainers and politicians, and trust me when I say that we care about this planet and we care about Bath. I sincerely hope to see a change of topic within the Chronicle very soon, before more stick and stones are thrown. What a racket part Q is. What a confused messy pile of turd fatally mixing policy subjective judgement with maters of fact and law. The DCLG having got a taste of swimming in this with shops now intends to drown the countryside in the slurry. 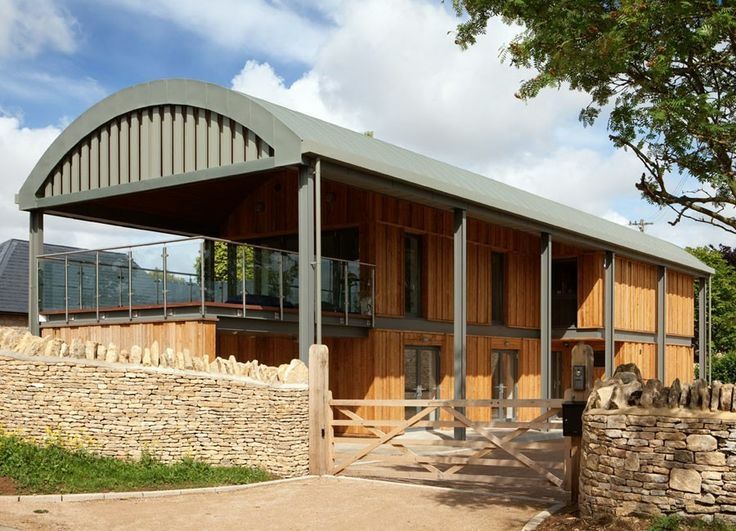 One high-end converted Dutch barn was recently on the market for nearly £2 million. But after the Hibbitt judgement we all are now clear., as was obvious to anyone with a knowledge of the history of caselaw on agricultural conversions from the outset, that you cant knock almost all of a building down and ‘convert’ it at the same time hence dutch barns and similar (enclosed on three sides) ‘conversions’ are not PD. I had a case this week where an LPA had issued a prior determination on a ‘conversion’ pre Hibbert and now the applicant wanted to exercise the power under class Q to make minor variations. Would accepting the variations on a case that was never PD in the first place be ultra vires. Rural authorities are now flooded with silly part Q cases at the moment determining them on the basis of frankly, irrelevant national planning guidance in the structural stability of barns, internal structural elements are not development and this is not a material consideration. Besides in order to meet building regs on energy conservation have can you avoid new structural elements, insulate a steal roof and avoid a ‘barn’ (flimsy tin shed) collapsing under its own weight? So pretty much every case just like a planning application. So even the NFU now claiming its useless as it rarely applies. All it is is a fee exemption for farmers which costs them far more in the cost of paying planning consultants and barristers. Oh and it mandates tiny gardens no bigger than the cowshed footprints – why? Domestication is an issue but why not 200% otherwise you get 4m deep gardens. How many country cottages have 4m deep gardens? Post Hibbard this would need PP. But lets say before applying for part q the farmer put up the same interior walls without windows. Not development? Interior? The NPPG would be irreverent as it would be the existing pre-pd situation. The ‘not the intention’ clause would not apply and the Hibbert test would be met, as no longer a rebuild but a conversion. Of course the issue is where the ‘interior’ wall begins and where it doesn’t is highly arguable. How would the original building be different from a building with a front canopy? Im the worlds biggest fan of national parks, I love London, but there has never been such a dumb planning idea as to declare London a ‘National Park City’, it devalues London and devalues National Parks. In such a context it would be hard to defend inappropriate development harming London’s Greenery because all of the most urban area in the UK would be blanket protected by the highest and most important designation designed to protect the most precious rural areas. You might as well declare the whole of London a conservation area, every building in Ilford a Grade I listed building, the top of Highgate Hill a flood risk area and Ruislip woods an air quality management area. It is simply the wrong tool for the wrong job and makes a nonsense of important planning designations being based on evidence, study and the law rather than marketing, meaningless hype and worthy emotive platitudes replacing than tough choices that really make a difference. Sajid Javid has done just that in backing the heart in the right place but head long missing campaign to make London a National Park City. Sadiq Khan has thrown his weight behind plans for London to become the world’s first urban national park. The Mayor’s backing came as he launched his draft environment strategy at Woodberry Wetlands in Hackney today. He announced a package of measures to help “make London the greenest city in the world”. It includes new planning regulations to give further protection to green open space and incorporate “green roofs” into new developments. The Mayor plans to launch a formal bid for National Park City status for London at an international parks summit in spring 2019. There is little in the Mayors Environment Strategy to disagree with, though his specific measures on protecting green space deserve careful analysis in another article, one can cheer on his plans to ‘ has plans to make 50% of the city green so that Londoners can enjoy the natural environment and make more of our outdoor spaces.’ but that is about parks and Green space for London not a ‘National Park’ which must and should fulfill a wholly different purpose. But latching on to this silly campaign adds nothing and devalues the rest. What is a National Park? What makes them Special? What makes it necessary to defend this particularities of this specialness. The History. In 1864 Lincoln put the Yosemeti Valley in public trust so that. Five years before the worlds first titled National Park – Yellowstone – was even discovered by white Americans. From there the idea spread around the world. The problem was Britain has few true ‘wilderness’ areas from from agriculture and accessible solely for recreation. As ever British pragmatism needed to adapt the concept. It started with campaigns which brgan in the late 19th century for freedom to roam. A 1931 government inquiry recommends the creation of a ‘national park authority’ to select areas for designation as national parks. However, no action is taken and public discontent over access to the countryside grew, leading to the famous 1932 mass trespasses on Kinder Scout in the Peak District. Five men are imprisoned. The CPRE founded by the famous planner Patrick Abercrombie and others, together with the Ramblers Association, founded the standing Committee on National Parks in 1931 to lobby the government. Abercrombie helped pioneer many important Planning Concepts, Green Belt, New Towns, National Parks and AONBs, and in the County of London Plan he wrote proposed the first ‘Green infrastructure’ networks for London. Yet he did not propose London as a National Park, the very idea would have made him lose his monocle in shock. He always proposed clearly the right planning tool for the right planning job, which why his concepts have stood the test of time, they were free of muddle and had a wonderful clarity of purpose toutching the heart, but razor sharp in what they were for and what part in the great planning jigsaw they played. Lest he turn in his grave lets not muddle things up again. The film is interesting, the Council for National Parks in the 1930s did a lot of work on where they should be – note the Pennines, and Cambrian Mountains as well as ones that later were declared such as Dartmoor and the Peak District. The sharp divide between the grime of London and the ‘Great openeess’ of London seems quaintly post Victorian, but they had a point, London is manmade and urban, National Parks and open, though with the artifice this is ‘nature’ (no area is more manmade than Wesleydale). Manmade features enhancing the beauty of ‘Great Open’ Nature free of urban intrusion and sprawl. Section 99 of the NERC Act clarifies that landscapes that are partly the product of human intervention can still have natural beauty and may be included in designations. This principle is very significant in the context of English landscapes. In 1945 as art of the Labour Party’s planned post-war reconstruction, and planning reform, it published the White Paper on National Parks and sets up a committee under Sir Arthur Hobhouse to prepare for national park legislation. Its famous map followed the earlier work of the Council for National Parks, but divided into National Parks and areas later to become Areas of Outstanding National Beauty. Some areas like the Herefordshire Uplands still haven’t been declared for silly reasons such as politics over the marches national border, or the post war desire for afforestation and depopulation for army training in the Brecklands. natural beauty and the opportunities it affords for open-air recreation, having regard to both its character and its position in relation to centres of population, it is especially desirable that it is designated for National Park purposes. These principles are well tested in law and inquiry most recently at the thee inquiries for the Broads, the New Forest and the South Downs. This is how Javid wants to define and that would have to persuade the house of commons before he submits his new London Plan to define them. natural beauty being within the M25 (and that sticky out northern bit of Enfield outside it) and the opportunities it affords for open-air recreation and being vaguely green in any form whatsoever, having regard to both its character and its position in relation to centres of population, its having a population of over 8,78 million, it is especially desirable that it is designated for National Park City purposes. This is the table used by Natural England for designation. Javid would have to redefine the No, NO to a YES, YES, which by definition make anywhere and everywhere a National Park, its a nonsense, the government wont stand for it, the EIP panel for the London Plan are likely to be coruscating in light of the precedents set by previous examinations and above all it is a giant disractationary waste of everyone’s time and money. Javid, you are a lawyer so how would you refine what is known as the ‘Dower Tests’ to make London a National Park City and not everywhere else, without the arbitary use of an administrative line which has nothing to do with beauty. Answers on a postcard please. Yes promote and ehance London’s Greenness, Yes promote a wide network of green and open spaces across London, yes make it visionary, but please dont use the term National poark, use your wit to develop your own. If the definition is arbitrary they can be arbitrarly defined and dedesignated and political whim, if a ministers wants to drive a motorway through for example, without fear of any JR. There is not a single logical argument for using the specific term ‘National Park’ on the campaigners website, other than being an ‘urban’ national park this would be way cool and new, even though great greening cities such as Barcelona, Curtiba and Vancouver have achieved all of the aims of the campaigners without the designation. At the end of the day the only argument is that it is great for marketing, a bad argument for doing anything and is any event counterproductive. If a foreign tourist comes to London and asks to see where the National Park begins and is sent to Fairlop Plain they aint ever going to come again. The idea is very much a selfish Londista one and actively harmful to rural areas, on a par with driving on Narrow Devon roads in Chelsea Tractors knocking cyclists flying, on the way to a cottage used for two weeks a year, whilst complaining about the lack of good Sushi in Crediton. If Javid wants to Declare London a National Park put up a giant Millstone in front of City Hall as a symbol of his legacy to planning in London. I’ve written about this before – Nick Clegg probably bent his ear. Sadly not about showing up the problems with a badly designed PFI but about keeping Gove in the News so he can read about himself. Environment Secretary Michael Gove has made an extraordinary intervention in the Sheffield tree-felling saga, writing to council leader Julie Dore and chief executive John Mothersole to demand an end to the controversial programme. In a letter seen by The Yorkshire Post, Mr Gove warns “the destruction of thousands of mature trees from the Steel City will surely damage our children’s rightful inheritance” to an improved environment and highlights concerns about the “transparency in the decision-making process” around which trees are felled. Sheffield Council has responded with a strongly-worded statement describing the Environment Secretary’s letter as being “full of inaccuracies”. Around 6,000 trees are being removed from city streets as part of a 25-year £2bn highway maintenance programme based on a PFI contract signed with contractor Amey in 2012. While the council insist only trees that are dead, dying, diseased or dangerous are being removed and then replaced, protesters argue that many do not need to be chopped down and the work is being carried out as a cost-cutting exercise. Mr Gove’s intervention came after The Yorkshire Post highlighted the ongoing concerns around tree removals in Sheffield to him. But Sheffield Council today strongly criticised the Environment Secretary and said “only a very small minority of people in Sheffield object to the tree replacement programme”, while expressing surprise Mr Gove had not contacted them about the issue prior to sending the letter. Mr Gove’s intervention is the latest development in an increasingly-bitter battle between Sheffield Council and campaigners. The Labour-led council will find out next week whether it has been successful in winning High Court injunctions against three protesters, including Mr Dillner and Green Party councillor Alison Teal, to prevent them participating in future ‘direct action’ to stop the removal of trees. If the injunctions are granted, those involved could be chased for damages or even face the prospect of jail should they disobey the orders. The council claims the action is a last resort after months of disruption to the felling programme, with protesters’ tactics including standing directly under trees scheduled for removal. Several other campaigners sent legal letters have already signed undertakings pledging not to take part in direct action protests. Coun Teal today said: “Despite our political differences, I am delighted that the Secretary of State, Michael Gove, is calling upon Sheffield Council to end the tree-felling programme. The ongoing row has previously seen 14 people arrested but no charges brought after the CPS dropped all cases. In November, a controversial pre-dawn raid on Rustlings Road saw tree-fellers arrive at 5am to remove eight trees, with local residents woken by police to move their cars. The incident, which resulted in the arrest of three people, including two pensioners, was later described by former deputy prime minister and Sheffield MP Nick Clegg as “scenes you’d expect to see in Putin’s Russia”. In March, police commissioner Alan Billings said there would be no further arrests as “the CPS are not prepared to criminalise peaceful protesters”. In his letter, Mr Gove says: “On my trip to Yorkshire last month, the matter was raised with me directly. “It is clear that many of Sheffield’s residents are deeply frustrated and angry at the decision to remove a large number of trees from local streets. “Understandably, local people place a significant value on their green spaces and their local environment, and these trees are a really important part of that. We know trees and leafy streets make places healthier, cleaner and more desirable places to live. “So you can understand why this issue has caused me such grave concern. “Despite the strength of local feeling, and some persistent and persuasive campaigning by The Yorkshire Post, the call from local residents to end the felling appears to have gone unanswered. “They feel that the council has not provided transparency in the decision-making process, which would seem to me a minimum for any elected body dealing with such a highly-contested policy decision. “If our aim is to leave the environment in a better state than we found it, we must examine how our actions impact the next generation. The destruction of thousands of mature trees from the Steel City will surely damage our children’s rightful inheritance. Paul Billington, Director of Culture and Environment at Sheffield City Council, said: “We were surprised to receive a letter from Michael Gove that is full of inaccuracies, and seems to call for us to breach the terms of the Streets Ahead contract. “The Government, through the Department for Transport, are party to the contract, and it was at central government’s instruction that the PFI model was used to finance this programme of work. “It is a shame that during his recent trip to Yorkshire, Mr Gove did not try to contact us. We would have been happy to meet with him to discuss any concerns in person. “We plan to respond and extend an invitation to Mr Gove to come to Sheffield and find out first-hand what is really happening with the Streets Ahead work. For example, how only a very small minority of people in Sheffield object to the tree replacement programme, with the majority of people either in support of or indifferent to the works; how we have planted an additional 65,000 trees in the city since the beginning of the Streets Ahead programme, making Sheffield greener than ever by the end of the contract; and how we have gone to great lengths to consult and work with the people in Sheffield affected by the programme. “The truth is that a small number of people in the city have strong views against the tree replacement programme. We respect this, but the majority of people in Sheffield want to see the work completed. The tax in not particularly efficient, compared to say a proper land value tax, but even in its present form its nowadays a huge earner for the Treasury, so change is less than likely. But would the key argument, that cutting it would release lots of homes for younger people from older people downsizing, hold water? No. The flaw in the argument is the belief that houses prices would remain the same. Never ague from a price is the economics saying, you also have to look at the demand effects. A price cut from a tax cut would encourage more sales, but also more purchasers, we have a huge shortage of housing, especially right size housing for older people. The additional purchasers would push prices back up again. In technical terms the housing market is supply inelastic. This would mean the impact on released supply would be small, and also incidentally the reduction in the Stamp Duty tax take. This line of thinking suggests that some reform of stamp duty might have some minor effect at the margin, and be revenue neutral, if for example you lowered it for age categories likely to downsize, and raised it for categories likely to upsize. However a tax break based on age would be politically toxic. It isnt going to happen. The Government is being urged to upgrade plans for a Midland high-speed rail interchange in a bid to create a gigantic new urban centre. The Department for Transport has been formally asked today to alter its blueprints for the Birmingham Interchange HS2 station near Birmingham Airport by development body UK Central Solihull Urban Growth Company (UGC). Its ambitions for a major mixed-use development near the airport could add billions to the local economy – but it feels the current HS2 plans do not go far enough. Published plans for the site comprise just a ‘parkway’ rail station and car parks serving the HS2 high-speed line between Birmingham and London, due to open in 2026. Now the UGC has outlined the major changes it wants to see to the controversial transport scheme to deliver the infrastructure needed for a fully-connected urban quarter – with HS2 at its heart. The changes range from altering bridges and moving roads to making provisions for other future public transport and pedestrian links and creating new landscape features. Before and after CGIs (above and below) show the differences between the two plans. The cost will be met by the West Midlands Combined Authority through its HS2 Growth Strategy Fund secured as part of its devolution agreement. West Midlands mayor Andy Street said: “HS2 is one of the biggest public sector infrastructure investments ever in this country and the West Midlands is uniquely positioned to benefit from this project. UK Central comprises four areas of Solihull: Blythe Valley, north Solihull, the town centre and The Hub, which includes the Arden Cross regeneration site. The Hub alone is expected to contribute £4.1 billion to the economy by developing 4,000 houses and 8.3 million sq ft of commercial space on land a mile from the airport. It was first unveiled to investors in March at the international property conference MIPIM in France. Solihull UGC, backed by Solihull Council and the West Midlands Combined Authority, is the first organisation to formally propose such changes to an HS2 station site. Managing director Huw Rhys Lewis said: “This is Solihull’s chance to make the most of HS2’s arrival so we have to be challenging to ensure our vision becomes a reality. “We want to create sustainable jobs, homes and commercial and leisure space for the people who live and work in the region but the proposed parkway station won’t allow that to happen. “Our recently published Hub Growth & Infrastructure Plan co-ordinates those organisations’ individual plans, looks at the infrastructure needed to make it all happen.